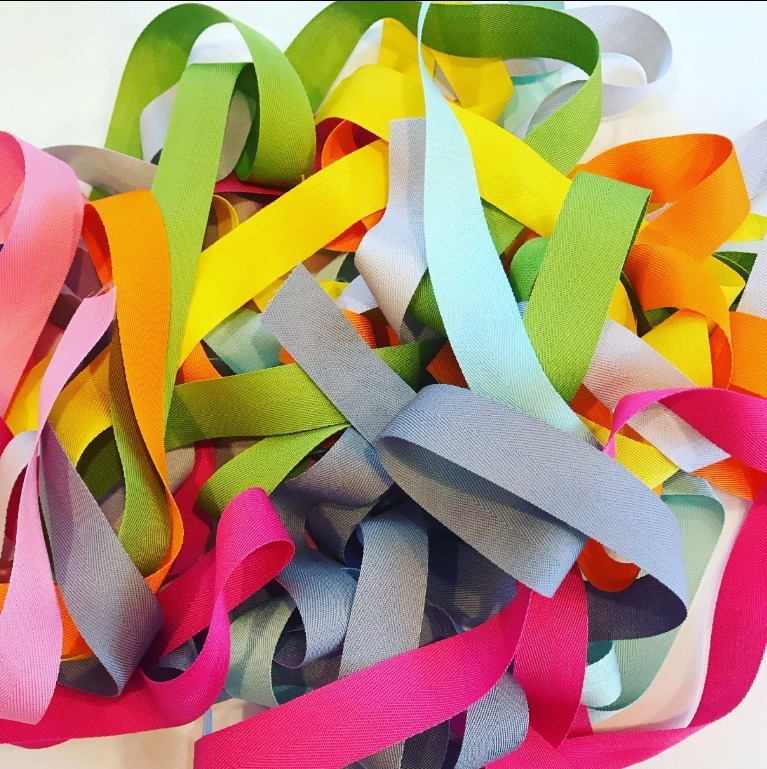 The Ribbon Jar - Beautiful and unique ribbon and trim by the yard! 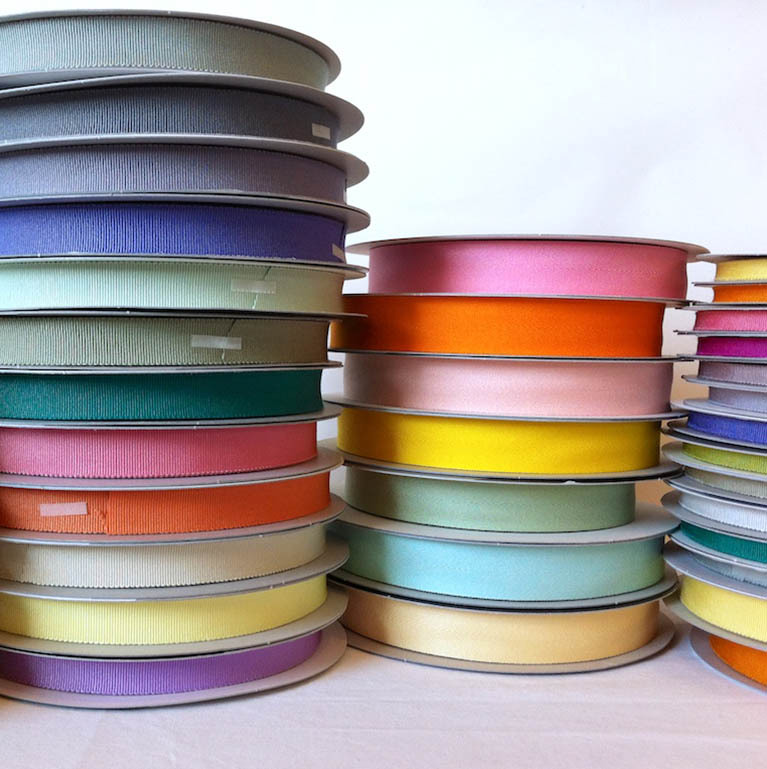 We hand-pick the finest ribbon and trim to bring you fresh designs, funky retro patterns, lovely vintage trim and of course the staples: silk, satin, velvet, grosgrain, herringbone and Ric-Rac. Helping you to add a special touch to any project or event. 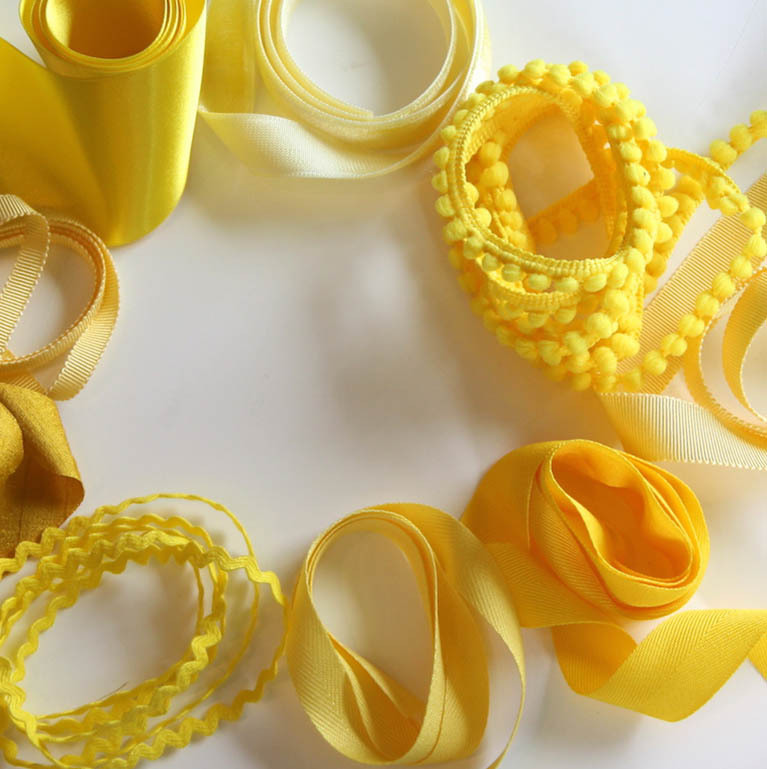 We are a great resource for the seamstress, crafter, decorator, bride, florist and anyone loving ribbon. One of our Special Collection Jars. 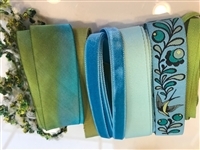 10 yards of Green and Blue! 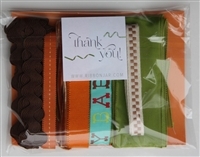 Our special collection jars of ribbon make wonderful gifts for your crafty friends. Not only do they sit beautifully in the workspace or wrapping area, they are also fun to dive into and enjoy.